Whether it is your first trailer or your next trailer that you are looking to buy, Five J is here to answer all of your questions. 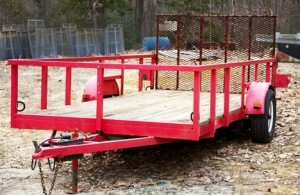 We will help you find a utility trailer from single axle or tandem all the way up to a gooseneck trailer or a heavy duty dump trailer manufactured by Texas Bragg Trailers. We also represent W-W Trailer in Madill, OK for your enclosed trailer needs. With over 34 years of combined experience in providing the highest quality trailers backed up with excellent customer service on all makes and models in the industry, Five J knows trailers, Five J knows the industry, and we want your trailer business.